Warrington Wolves have signed back rower Ben Murdoch-Masila from Salford Red Devils for £175,000 on a three-year deal. The 26-year-old, who turned out 60 times for Salford after joining in 2016, is the Wire's fourth signing for the 2018 Super League season. "It's an honour to become a part of a club with such great history," he said. "I am really excited for what we can achieve in the future. I'm looking forward to getting stuck in for 2018." 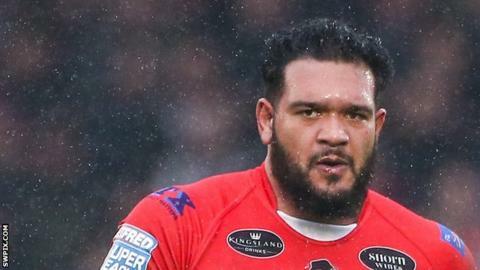 Murdoch-Masila scored 22 tries during his time at Salford, and was selected as part of the Tonga squad for the forthcoming Rugby League World Cup. The forward was part of the Salford side that reached the Super 8s and Challenge Cup semi-final last season.